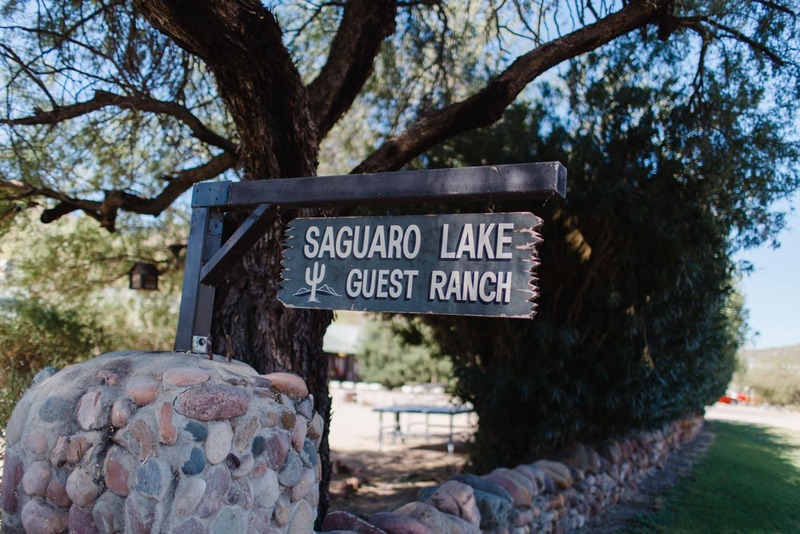 I’ve been dreaming and scheming about shooting at Saguaro Lake Ranch ever since I did my first styled shoot there in 2014. 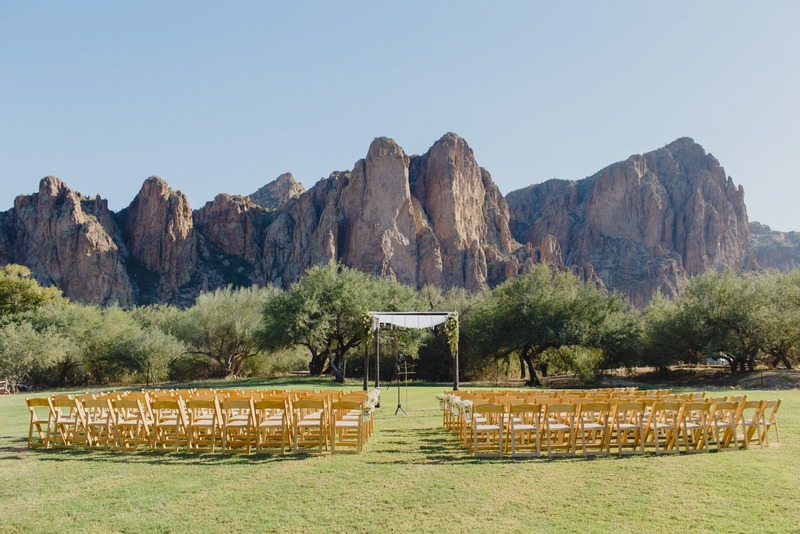 We even almost had our wedding there and I still wonder if we should have! 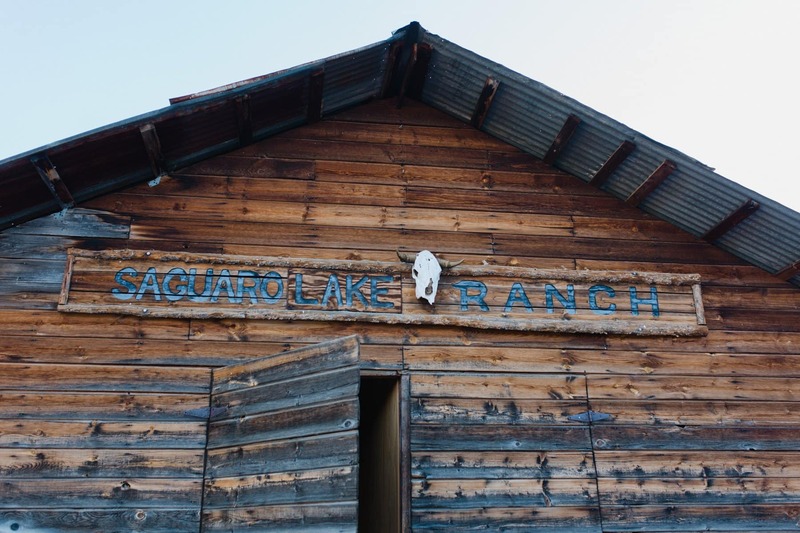 I really can’t overstate how much I LOVE Saguaro Lake Ranch. 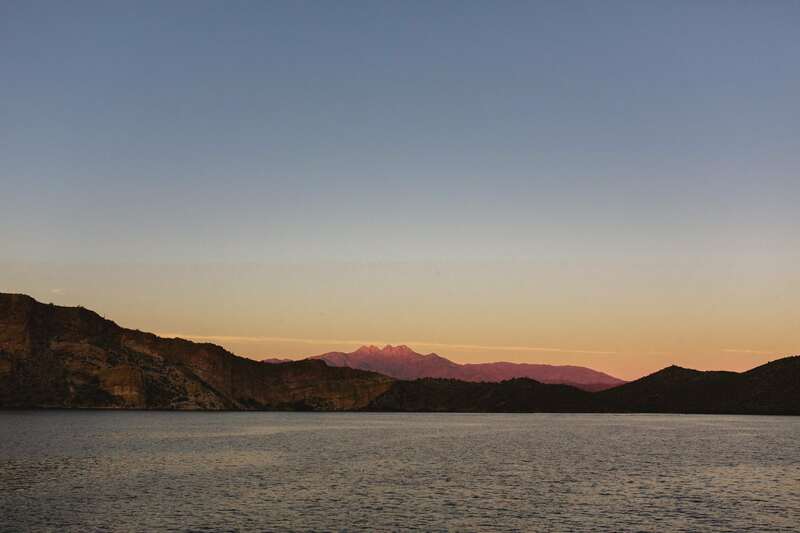 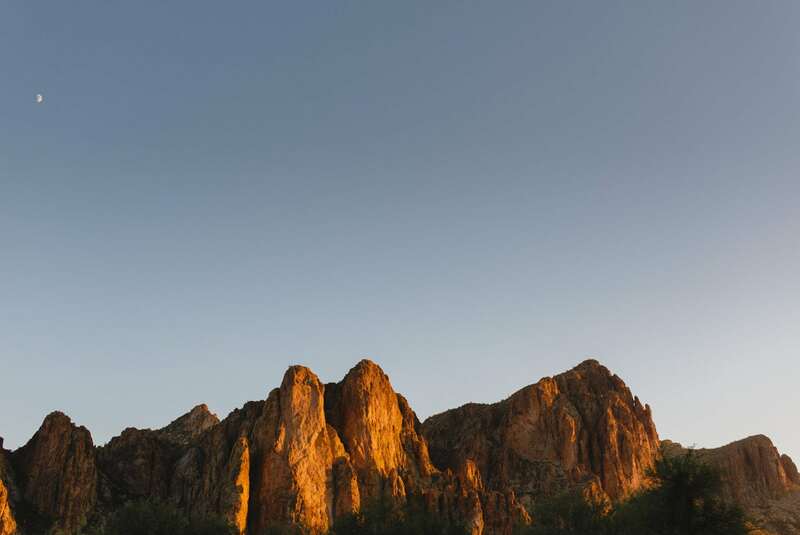 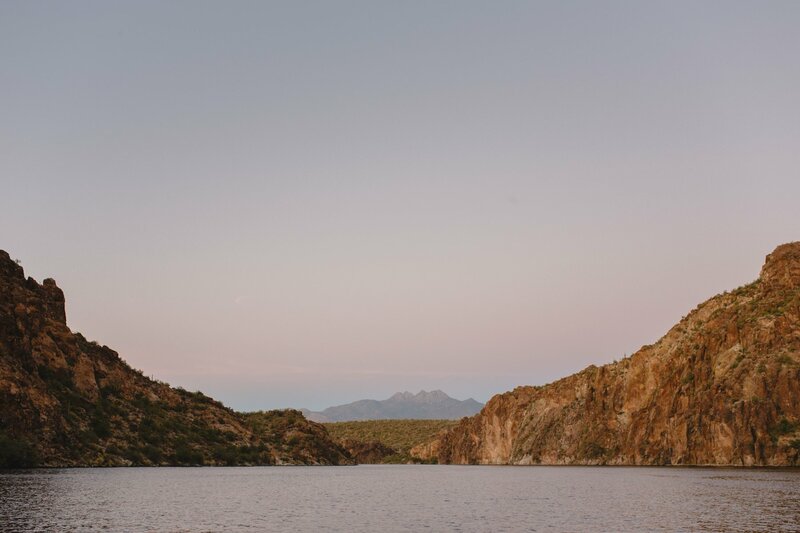 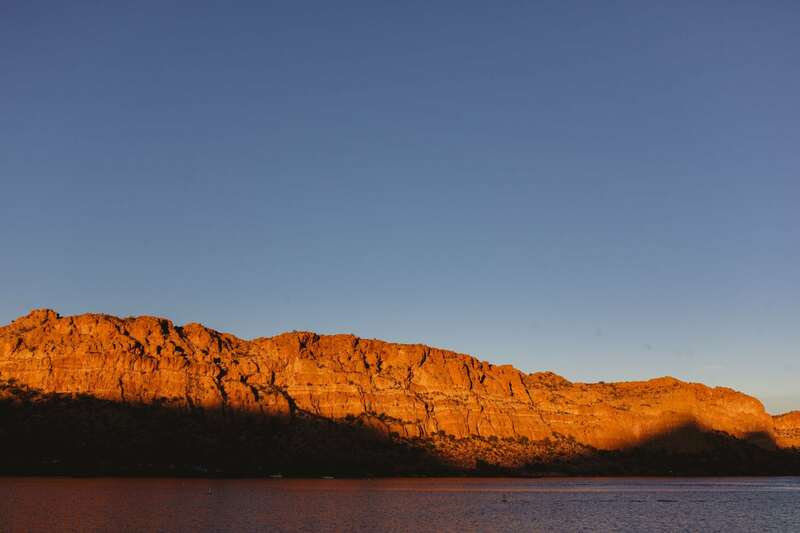 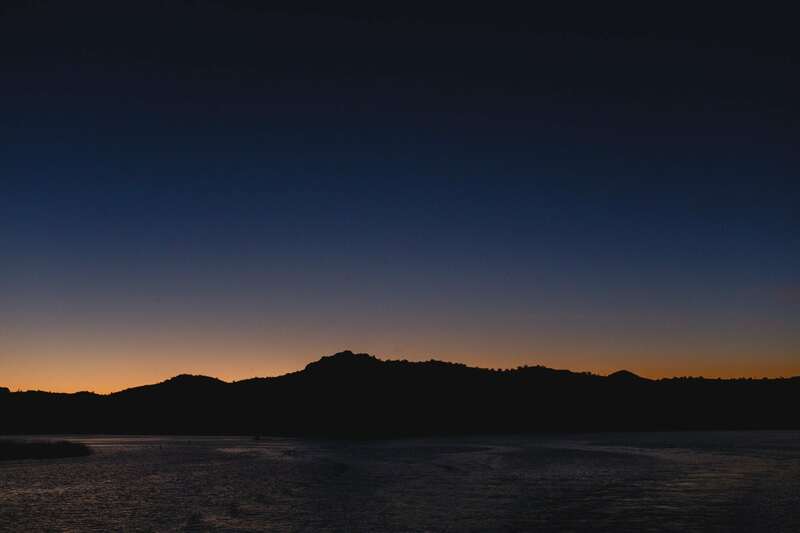 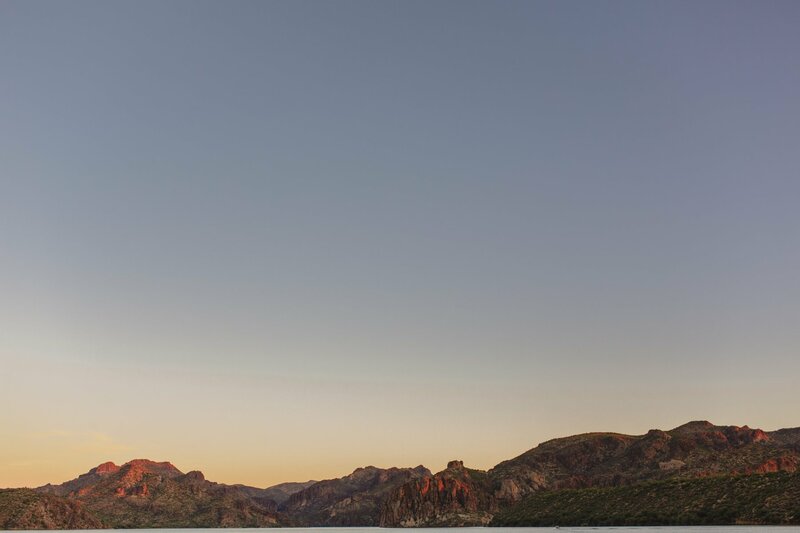 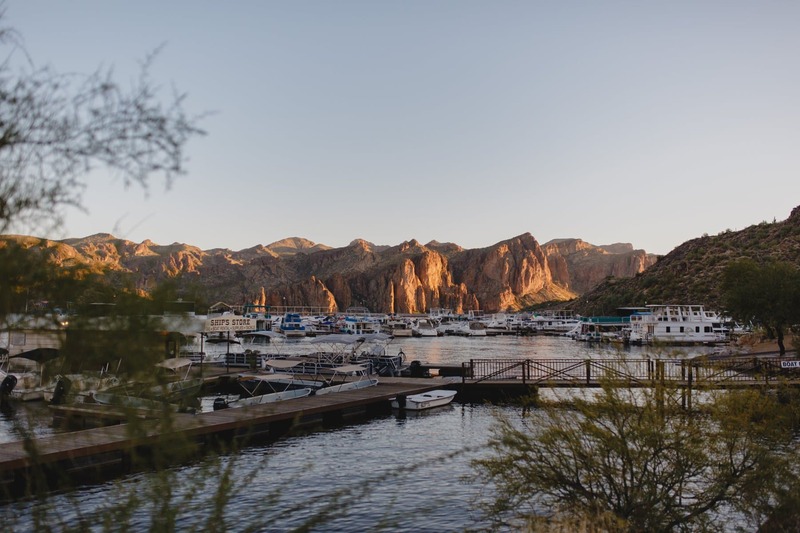 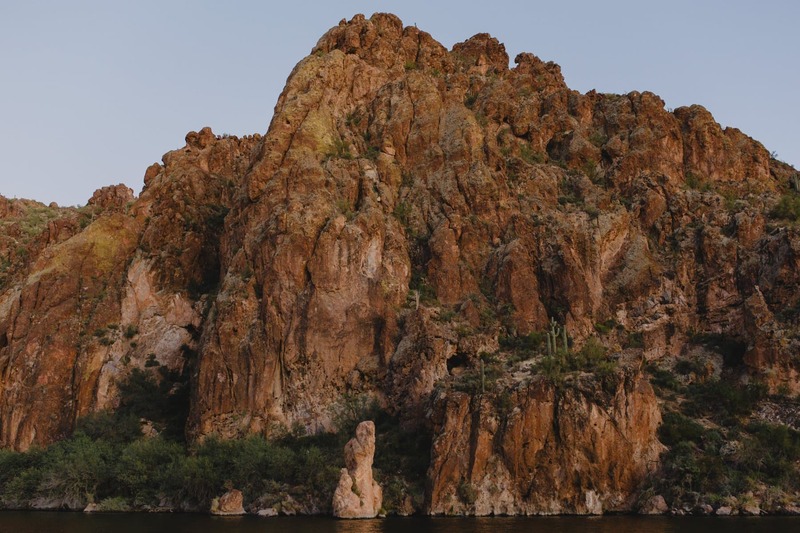 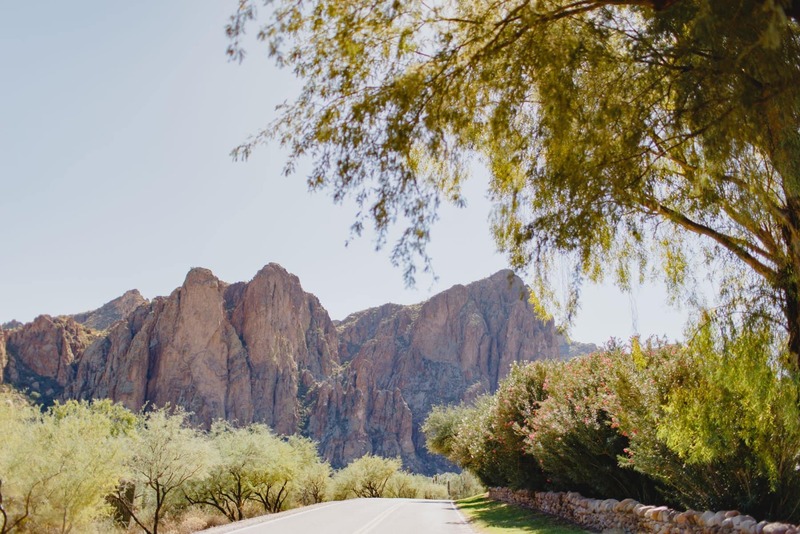 The majestic Bulldog Mountains, the beautiful Salt River, the rustic charm of original 1930’s cowboy lodging mixed with the beautiful Arizona desert- you really can’t get much better than that. 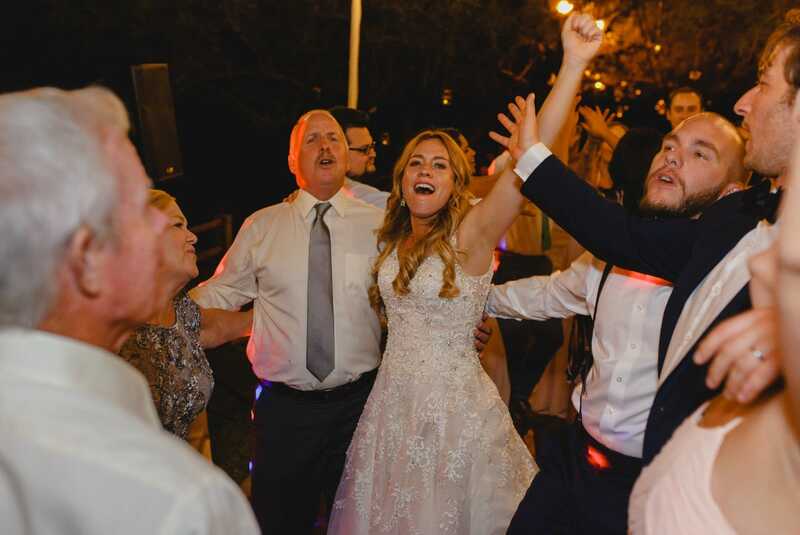 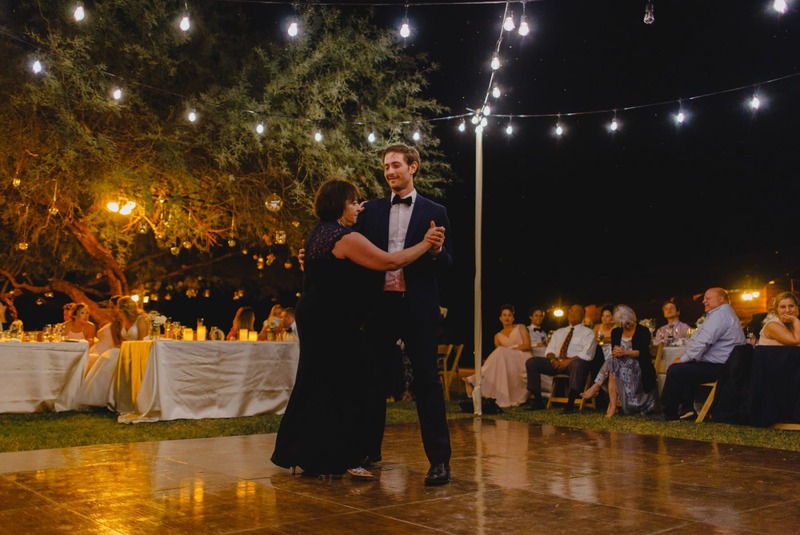 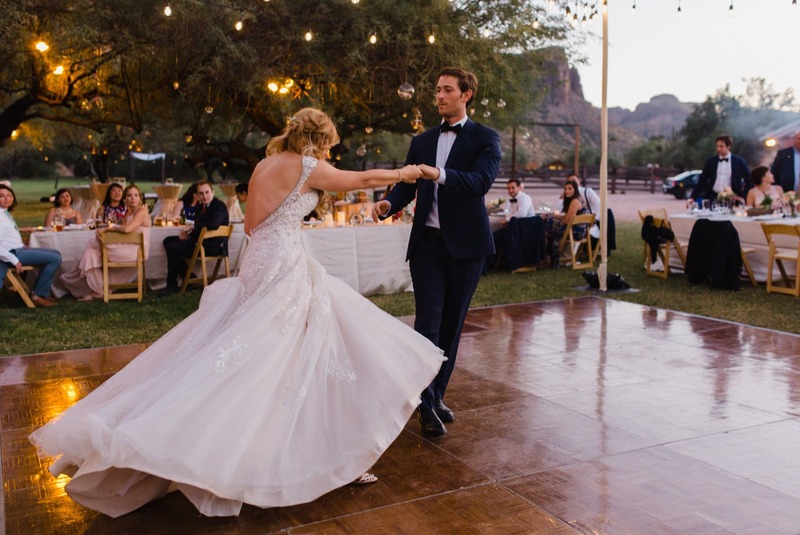 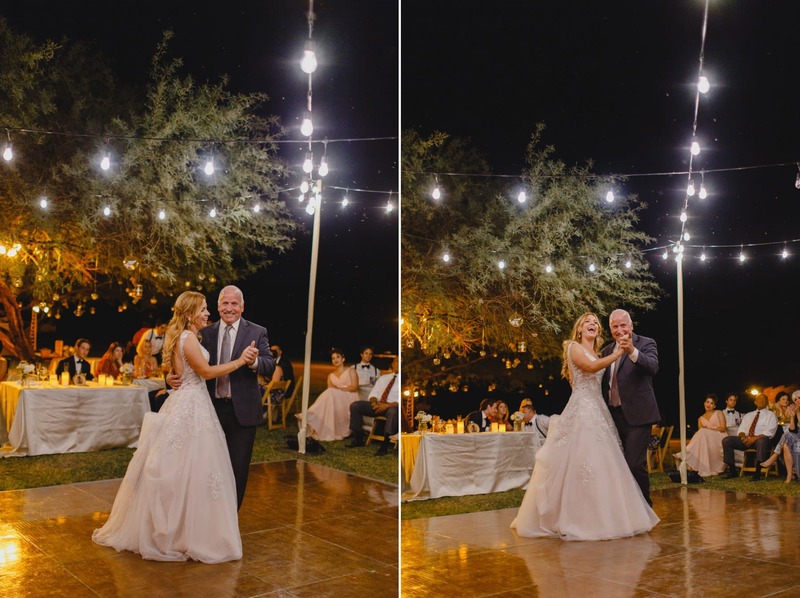 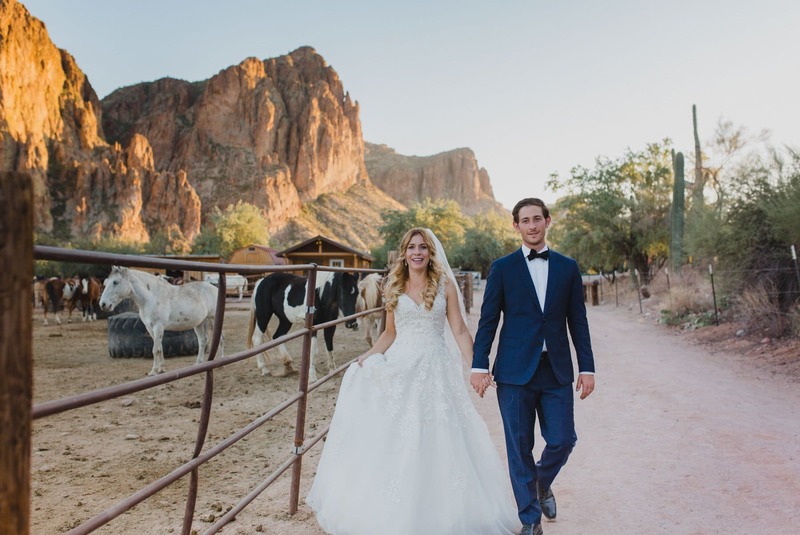 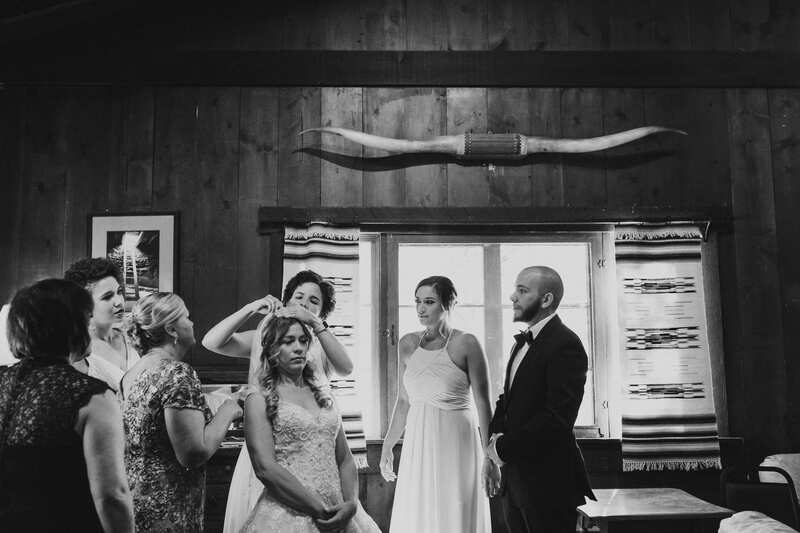 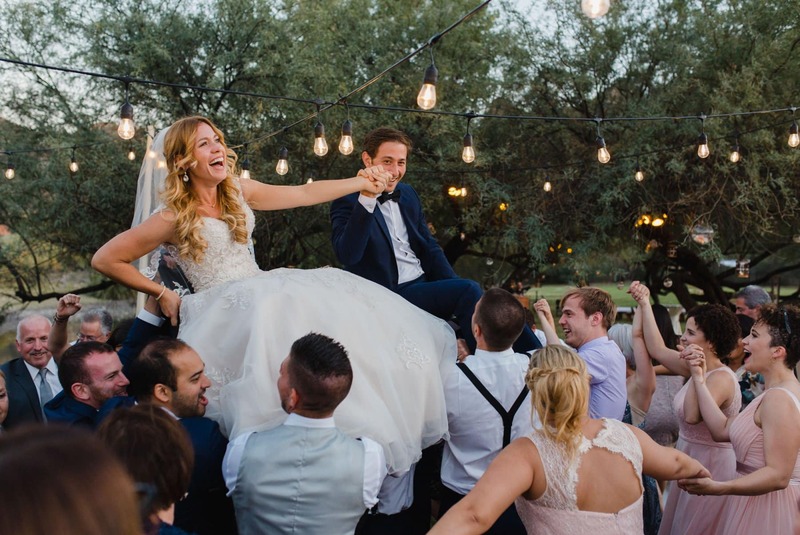 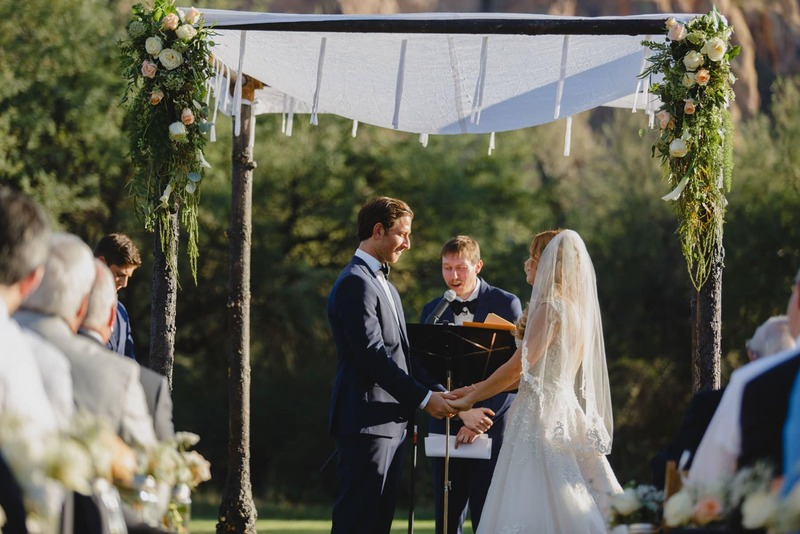 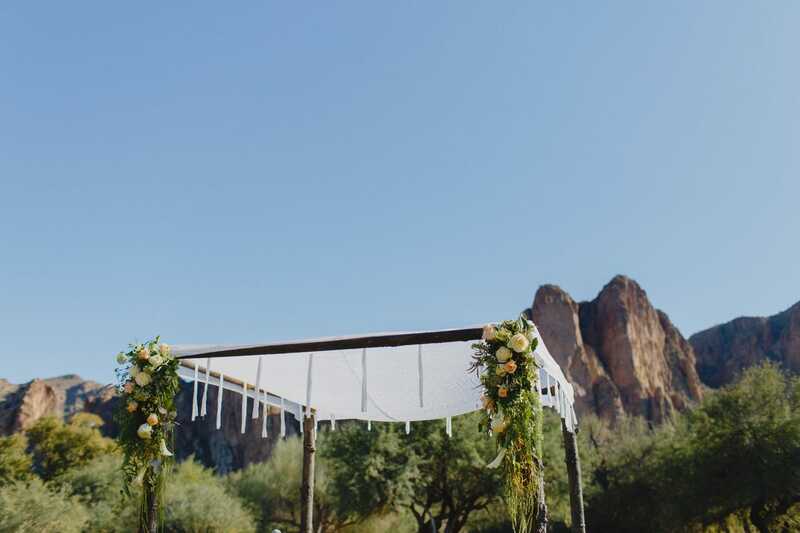 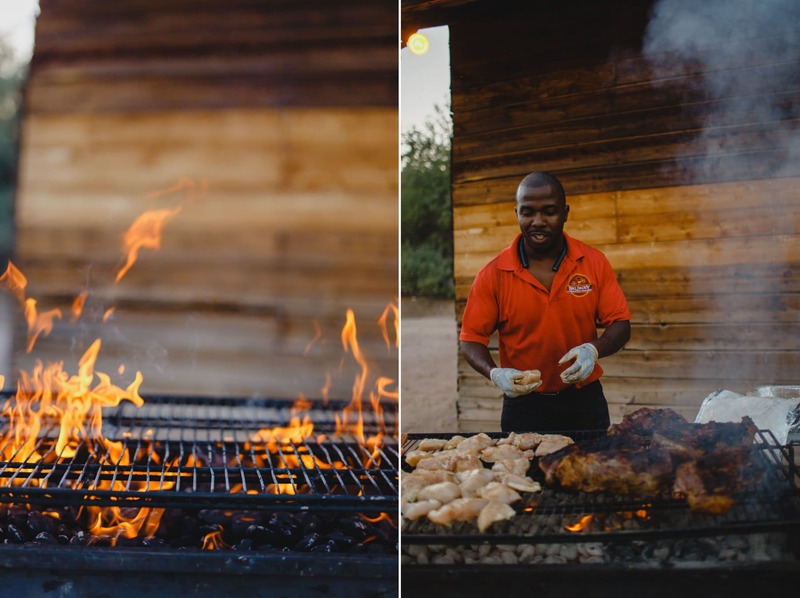 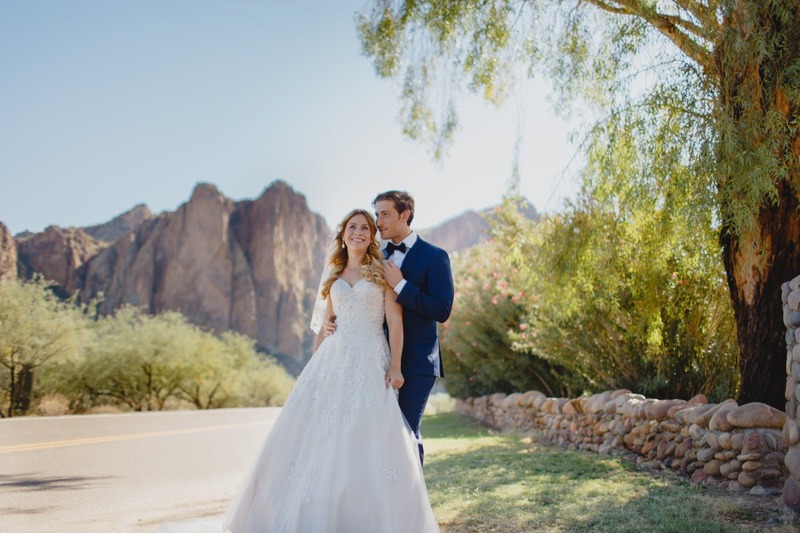 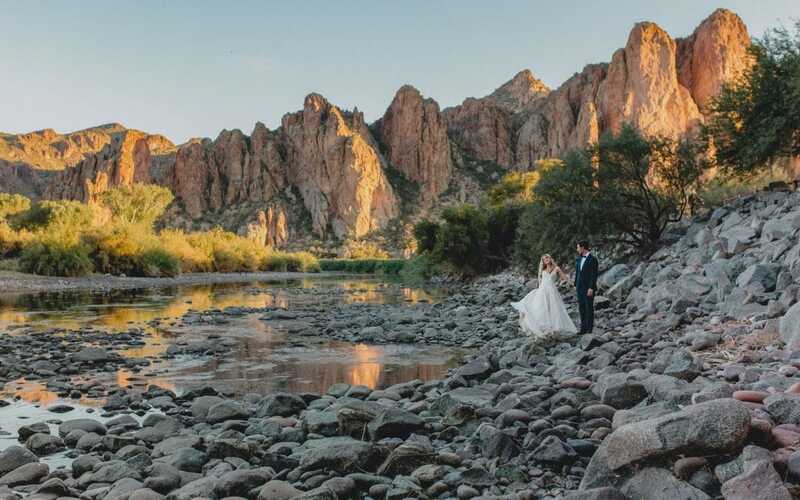 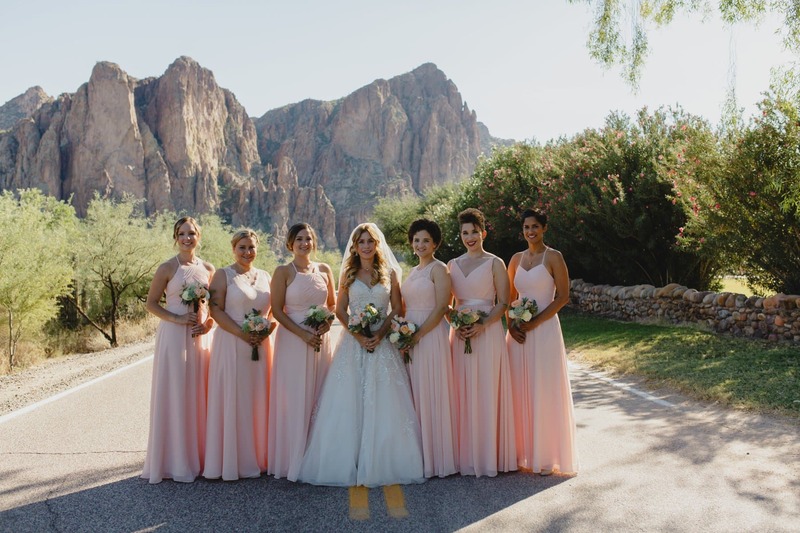 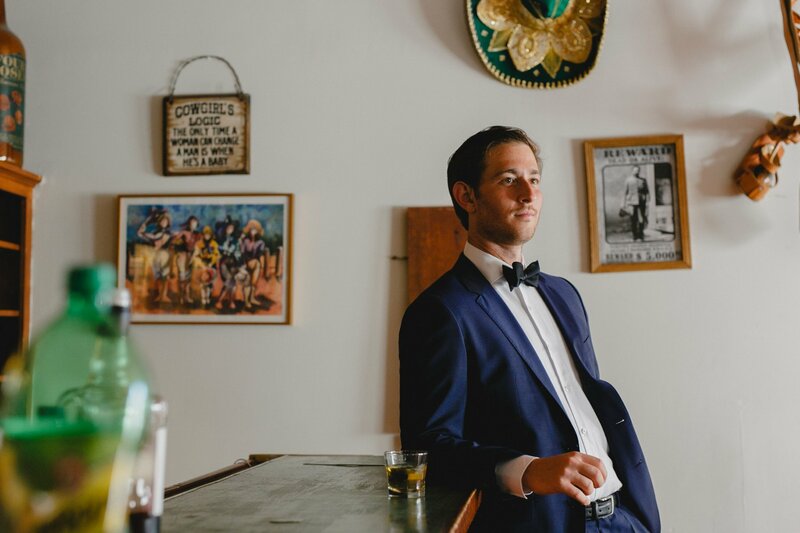 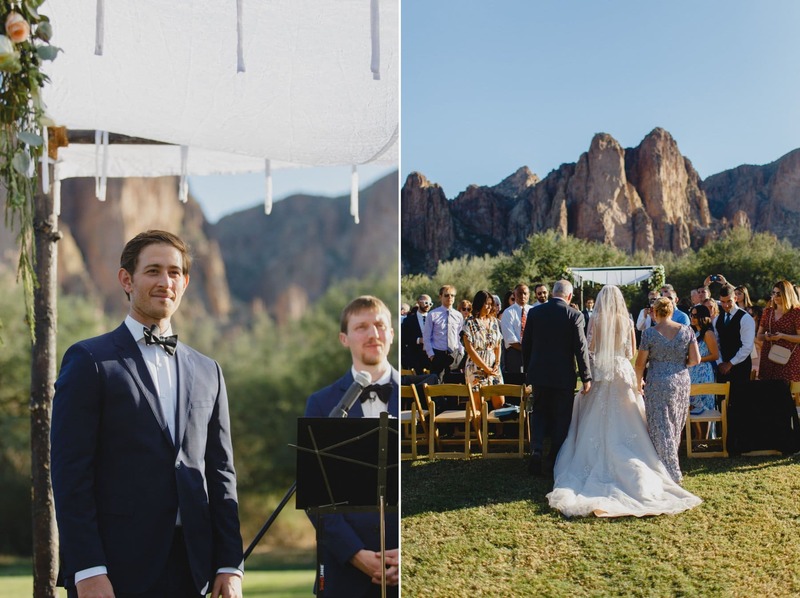 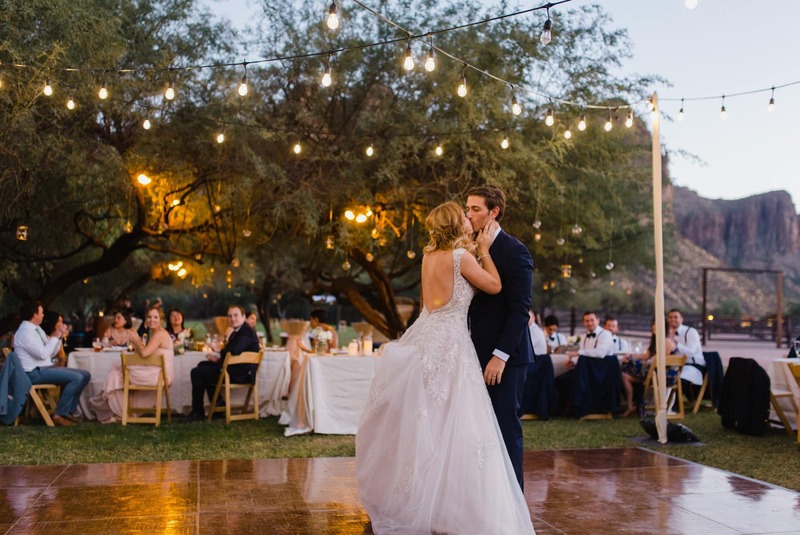 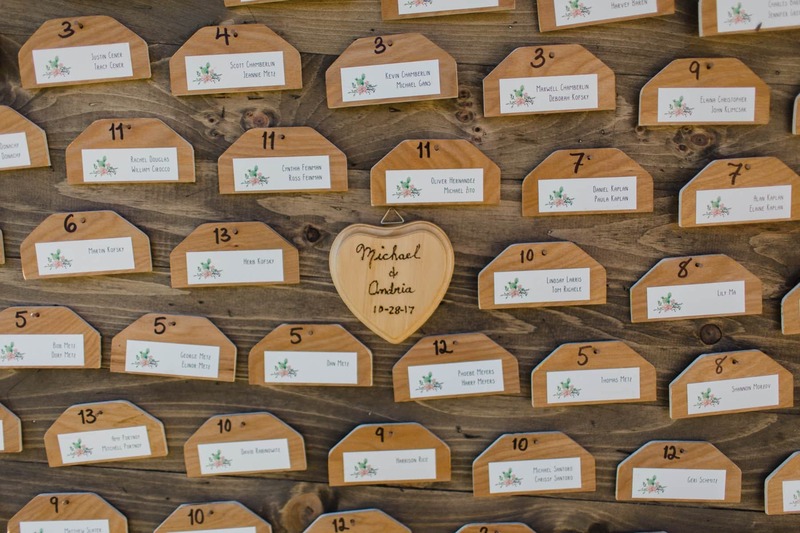 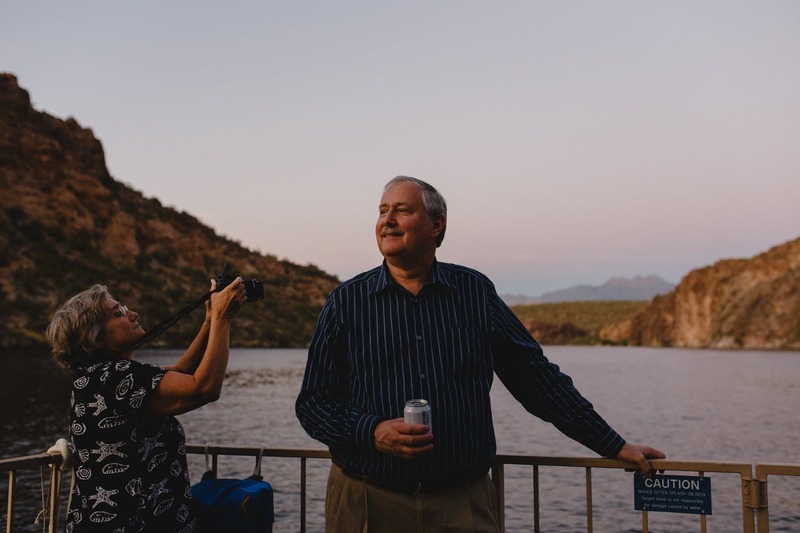 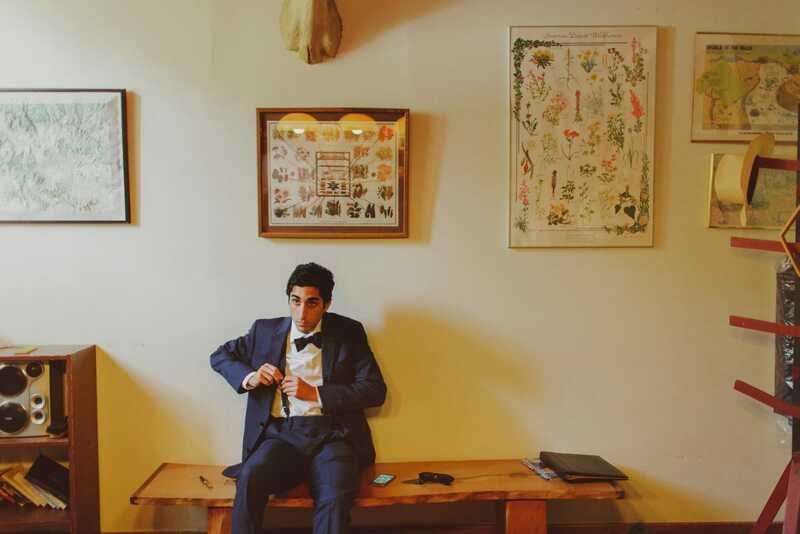 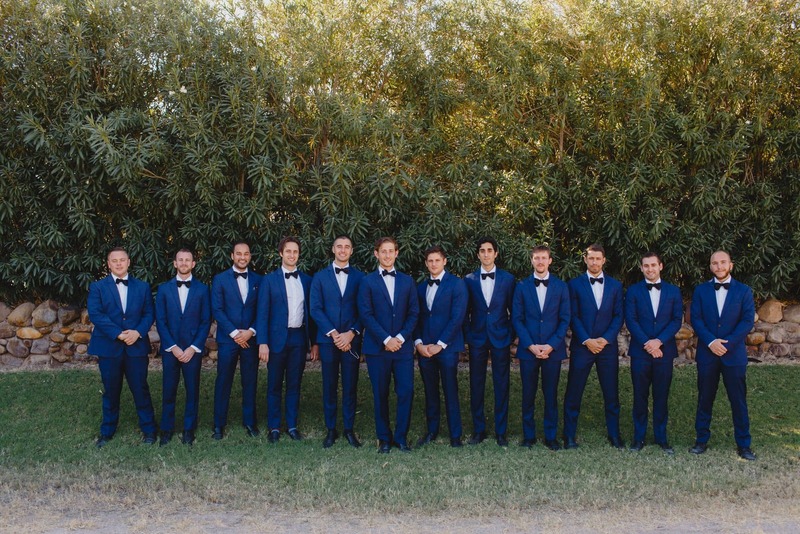 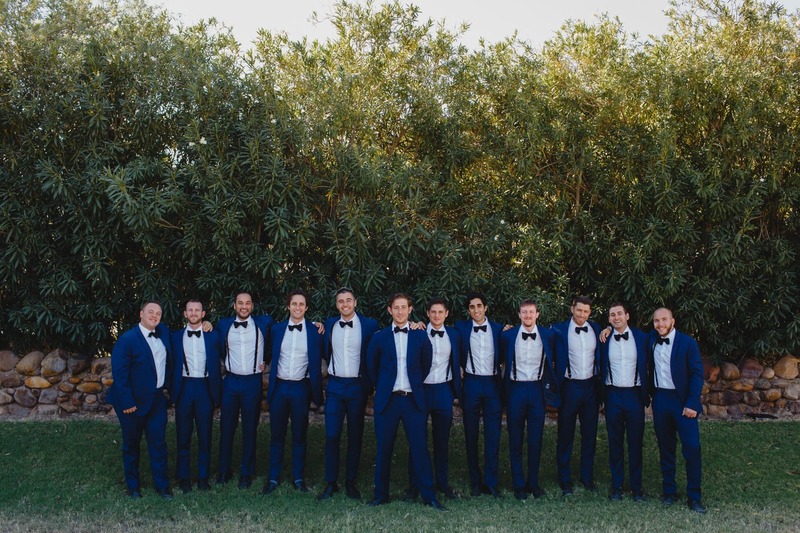 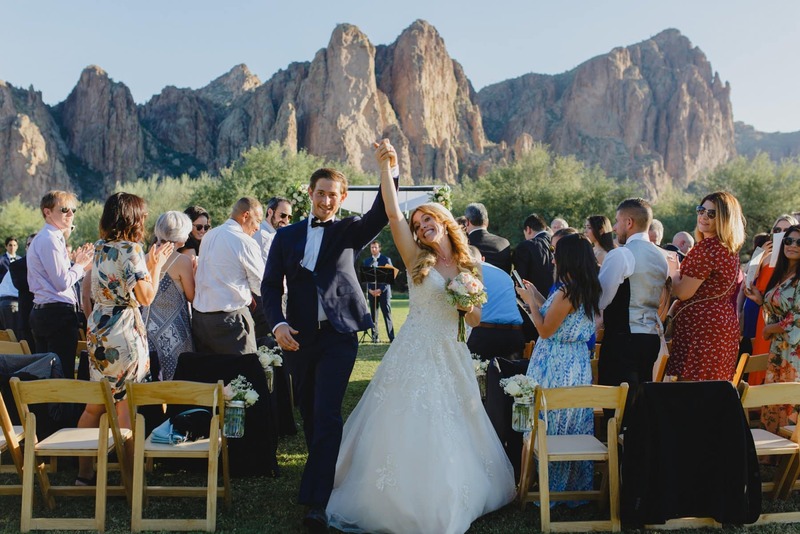 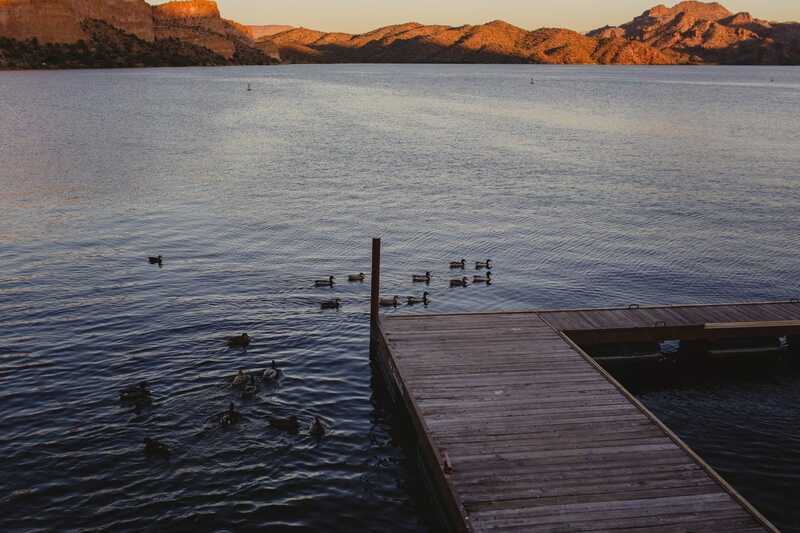 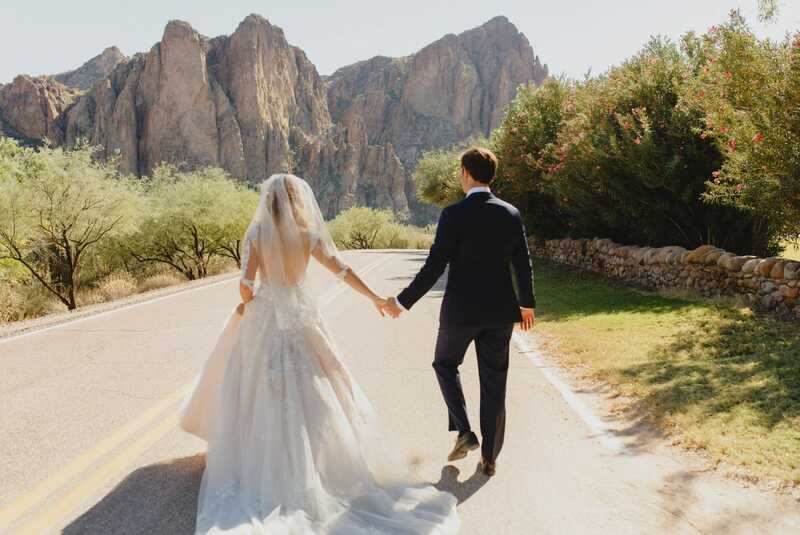 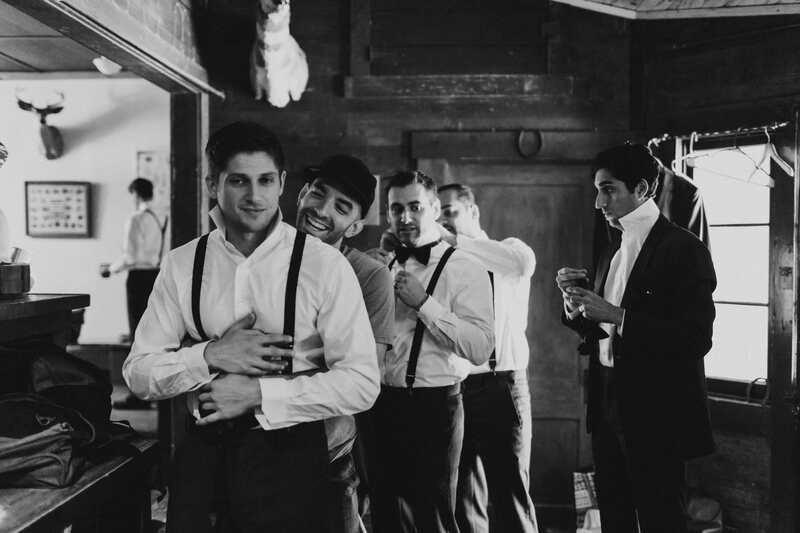 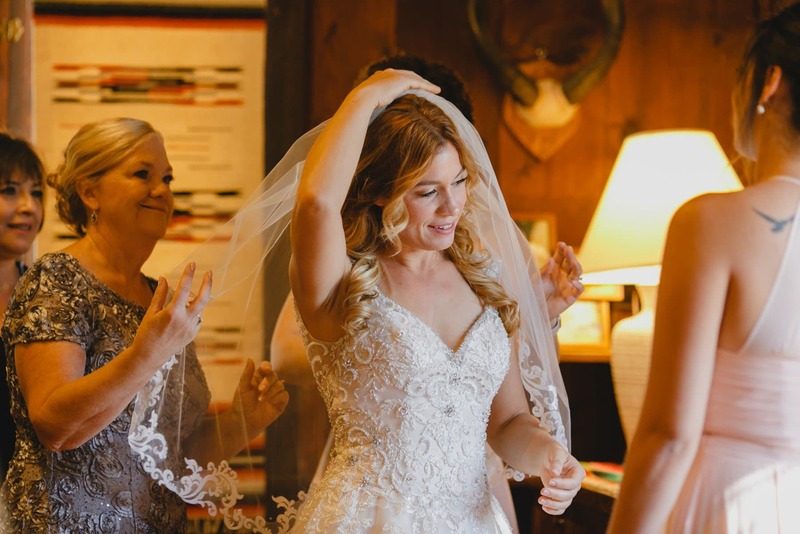 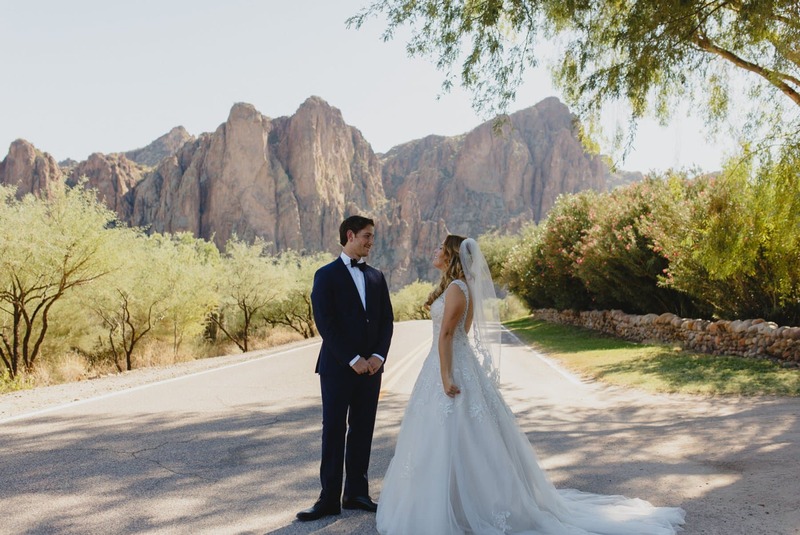 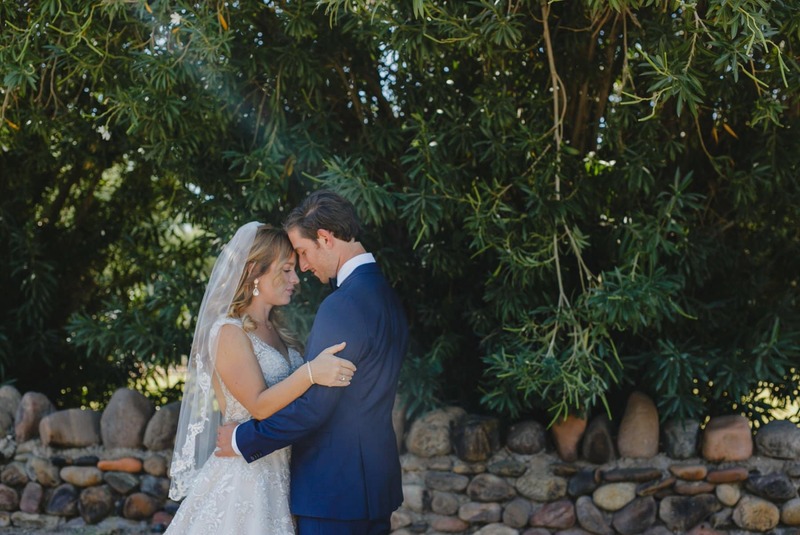 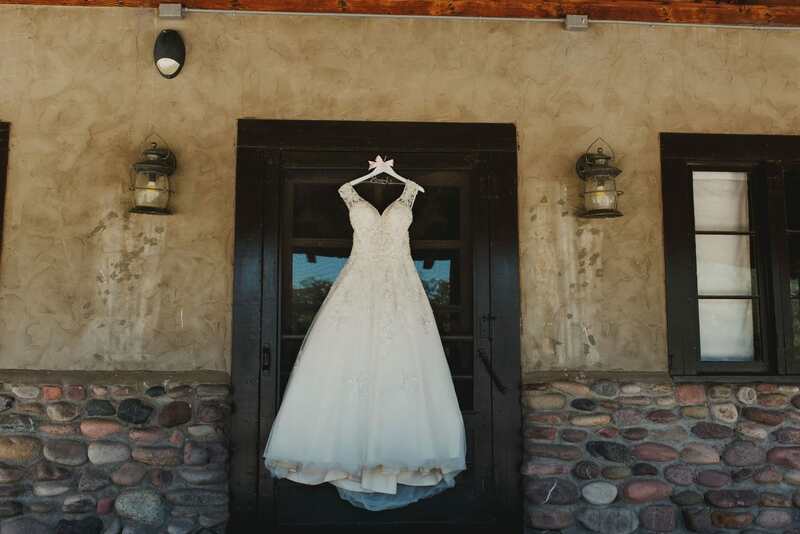 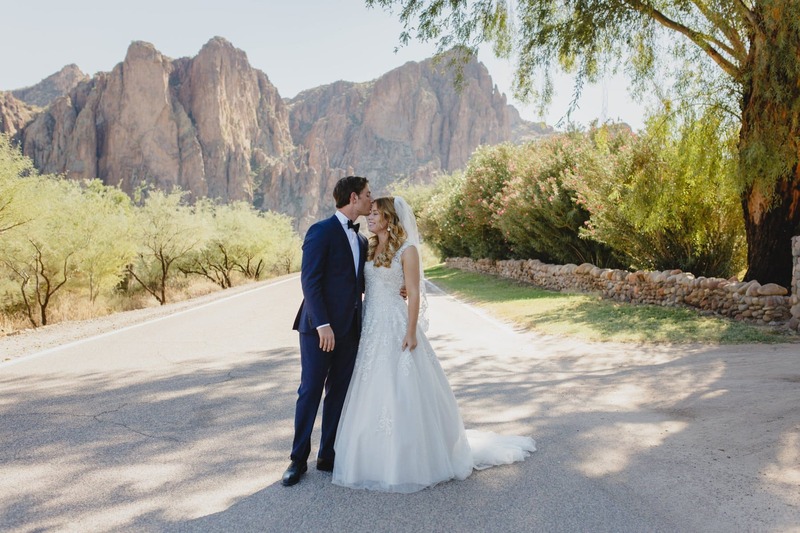 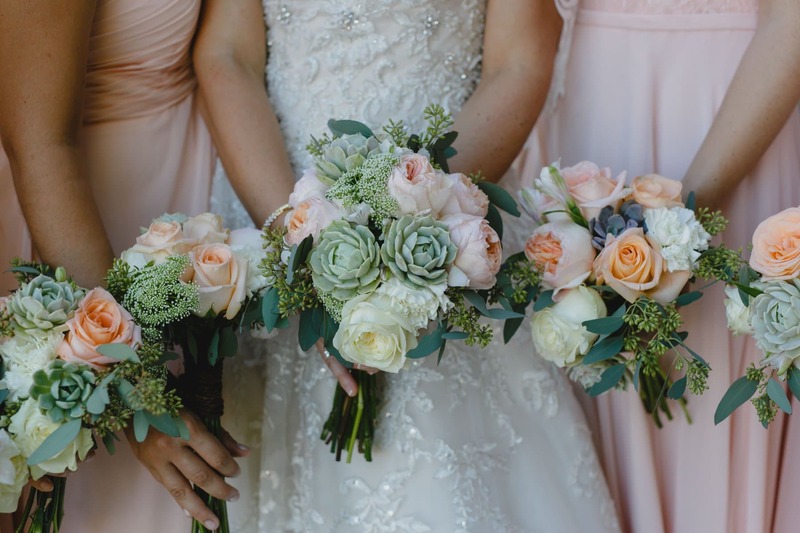 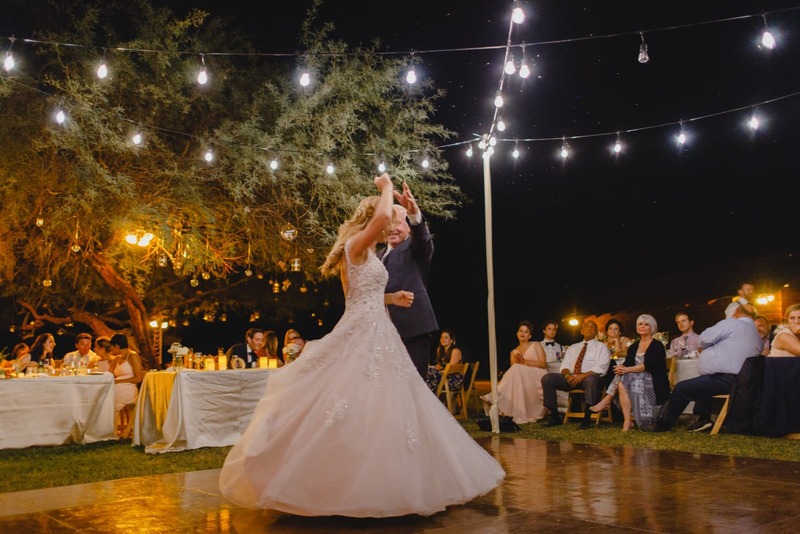 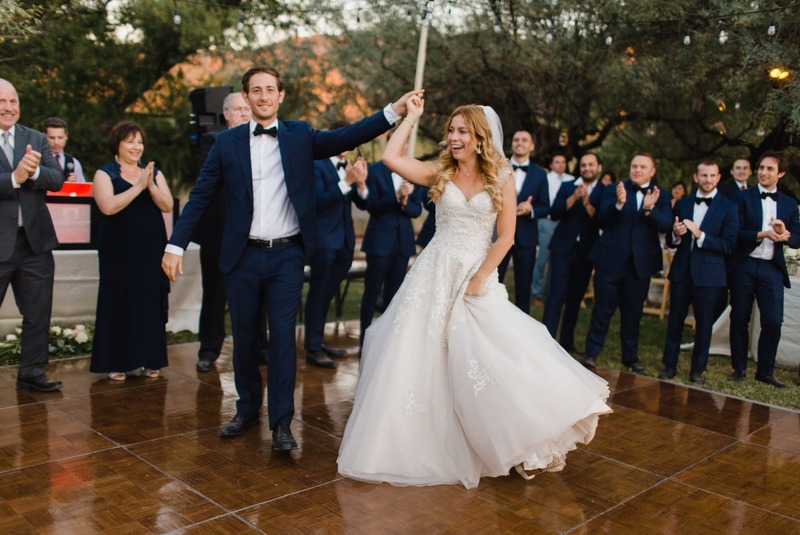 Weddings at Saguaro Lake Ranch mean you rent out the ranch & the casitas for a whole weekend which means it’s a FANTASTIC place for destination weddings. 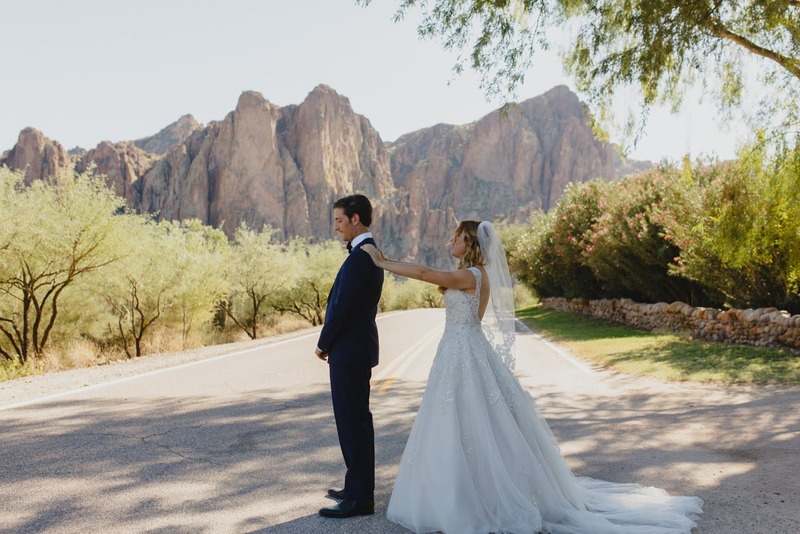 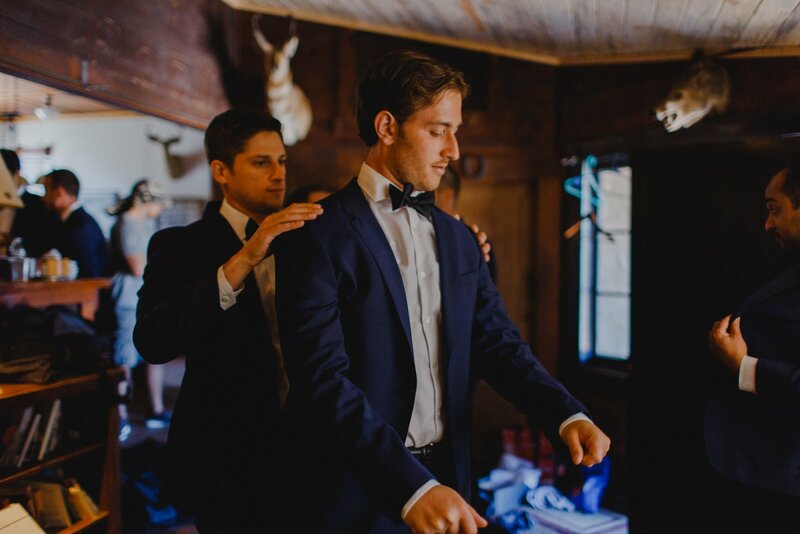 Andria & Michael are both in the film industry in LA and they found Saguaro Lake Ranch through my Arizona Outdoor Venues page. 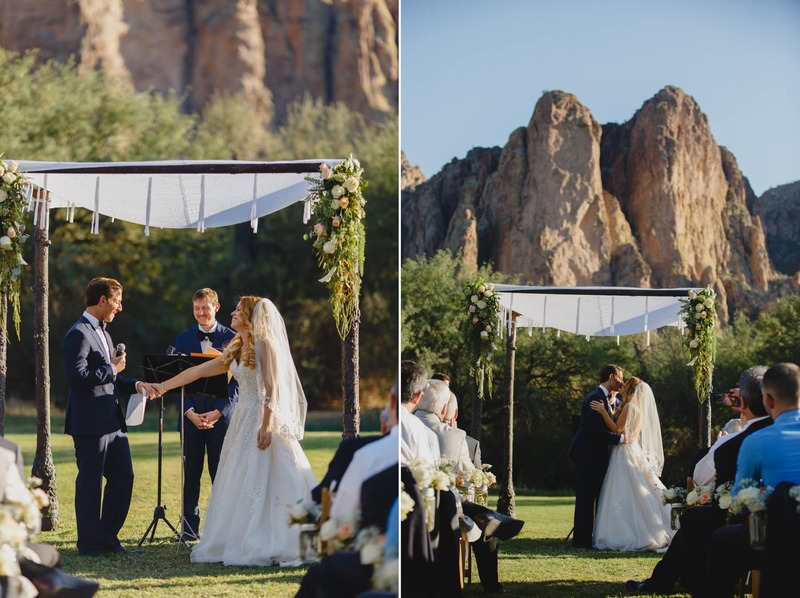 They chose to have their wedding in Arizona solely because of the ranch! 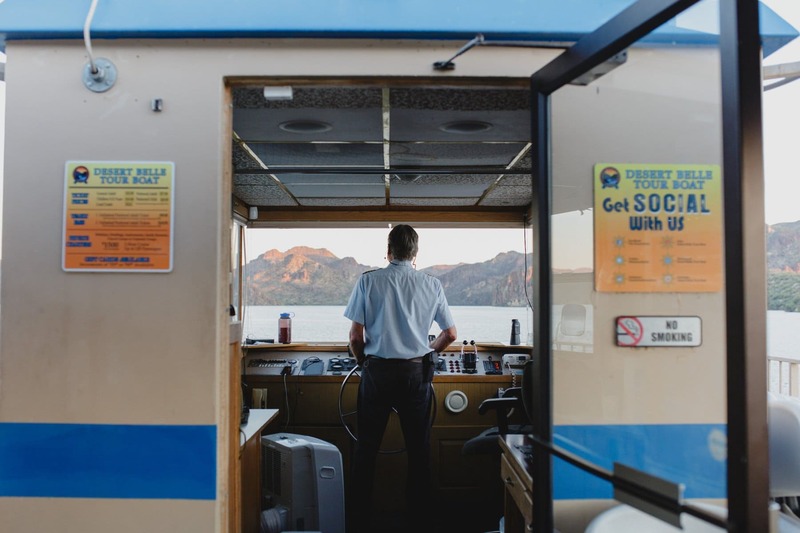 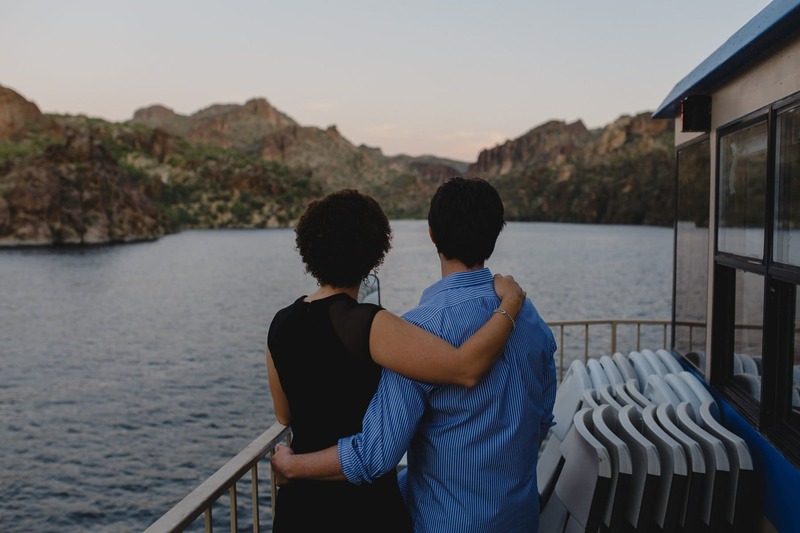 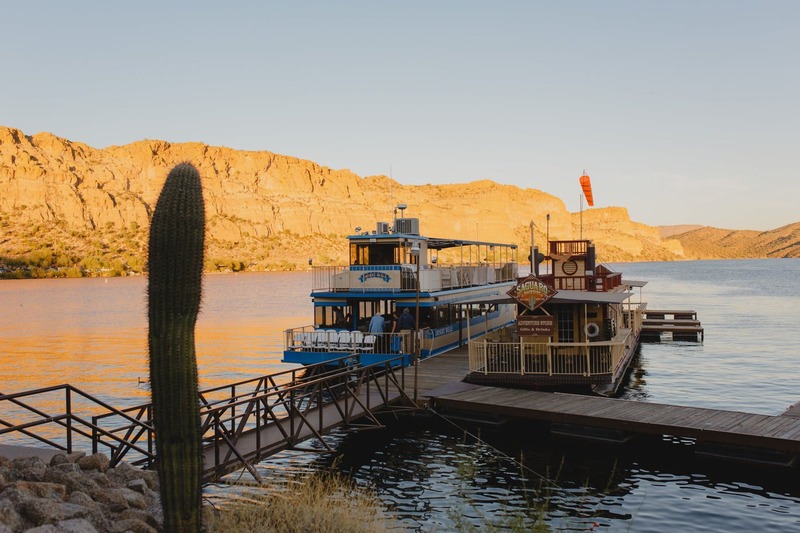 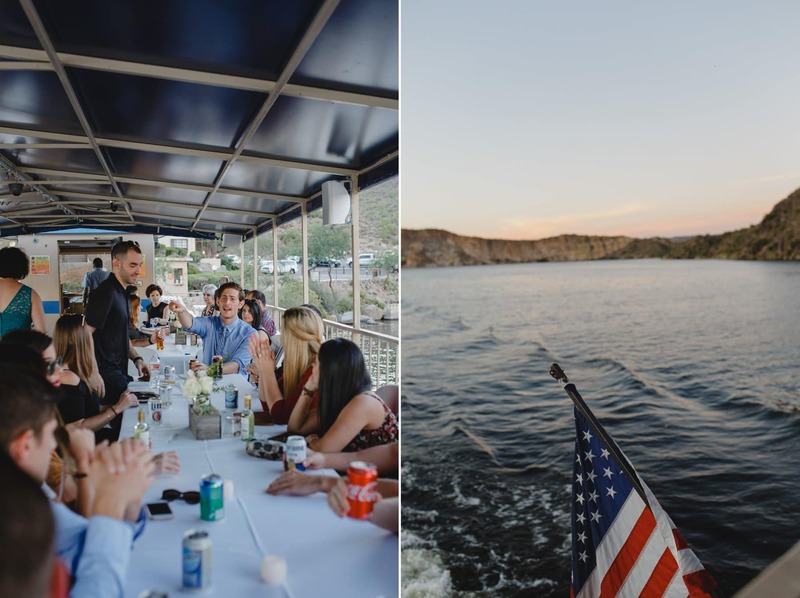 They introduced their guests to the beauty of the area by having their rehearsal dinner on the Desert Belle tour boat at Saguaro Lake. 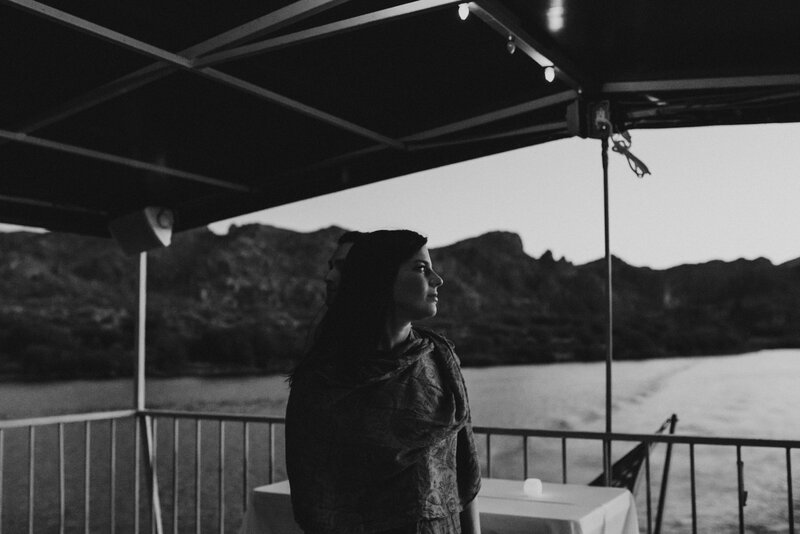 I always am very flattered (and get super nervous) when people in the film & photography industry hire me. Andria & Michael are avid hikers and outdoor lovers. 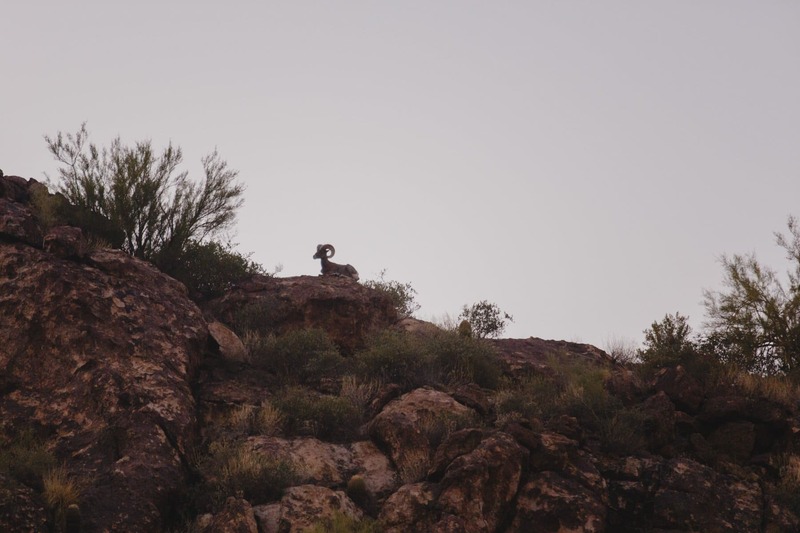 Andria was a hiker since before she could walk. 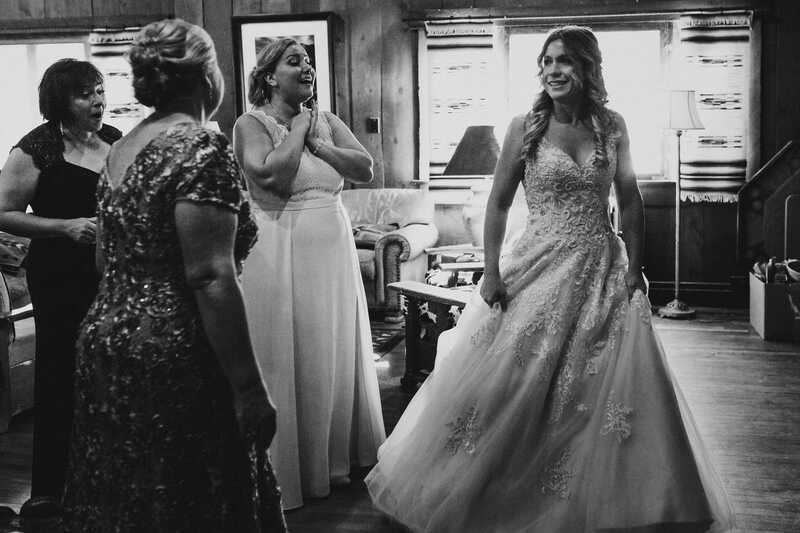 She’s a girl after my own heart because she also dragged Michael to scuba dive with sharks just like I did with Richard. 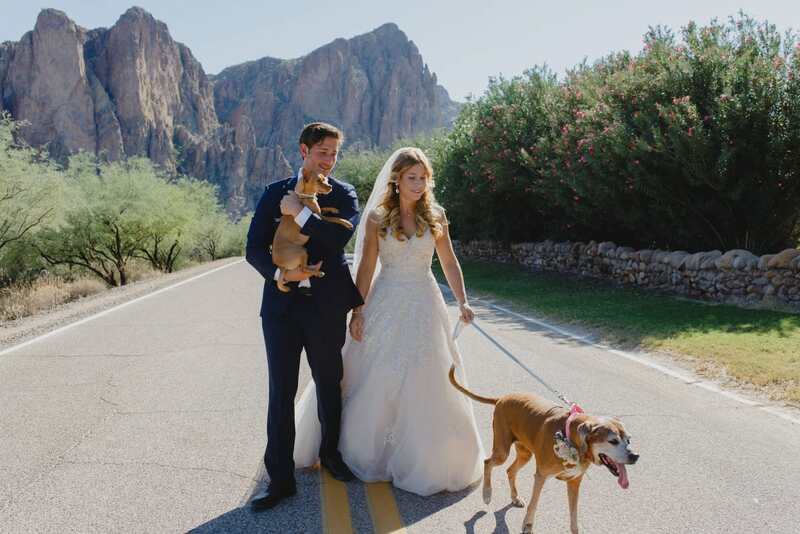 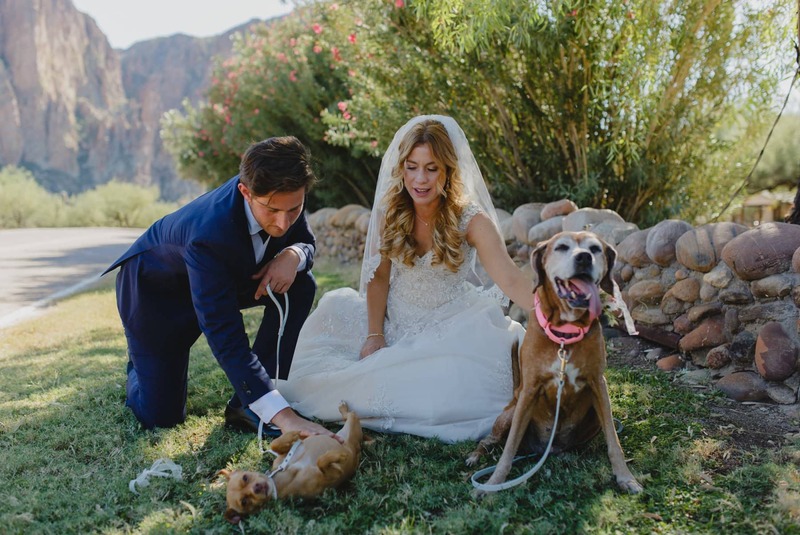 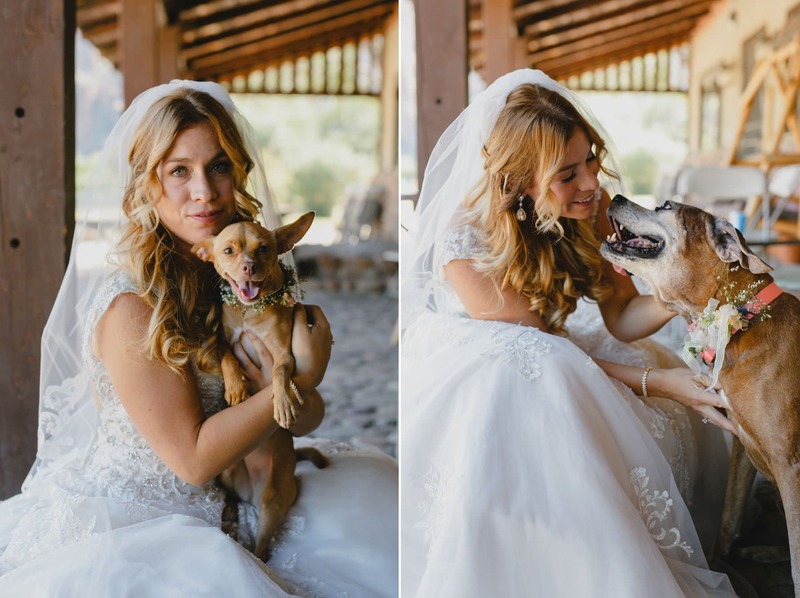 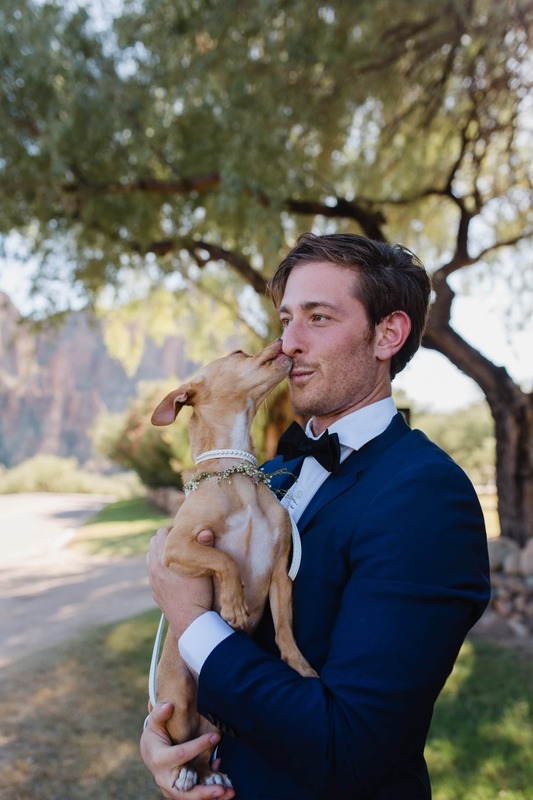 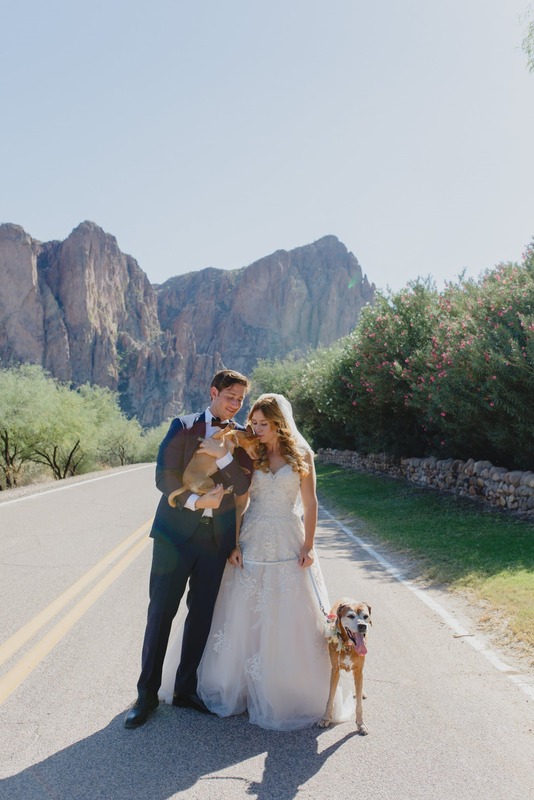 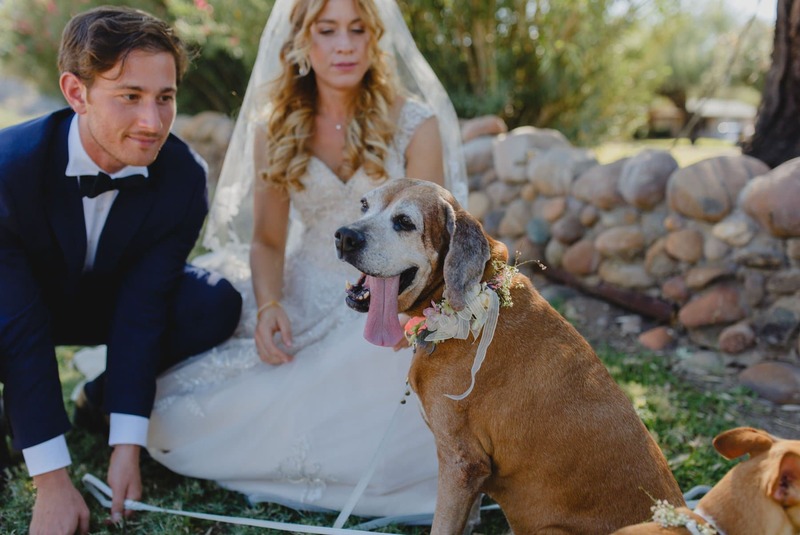 They both are also dog/animal lovers and I flipped out when I learned their two dogs would be joining us on their wedding day AND they had the Wedding Beer Burro at the wedding as well. 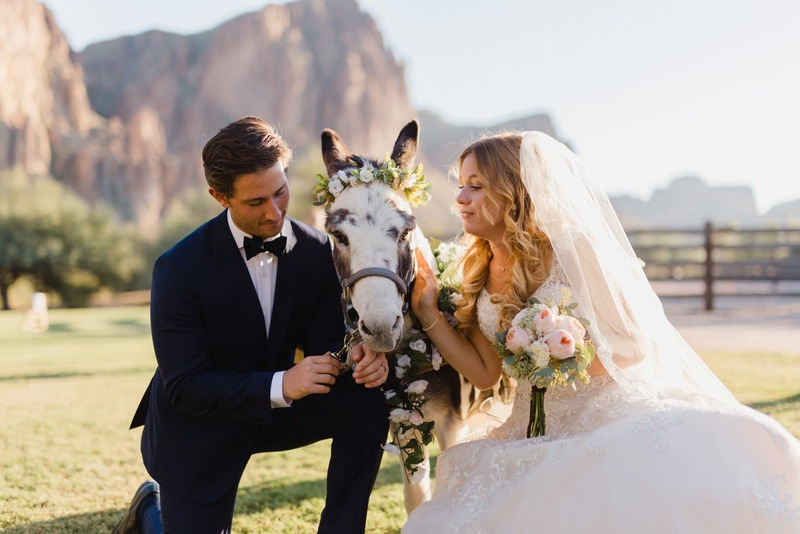 Dream venue, dream clients AND ANIMALS? 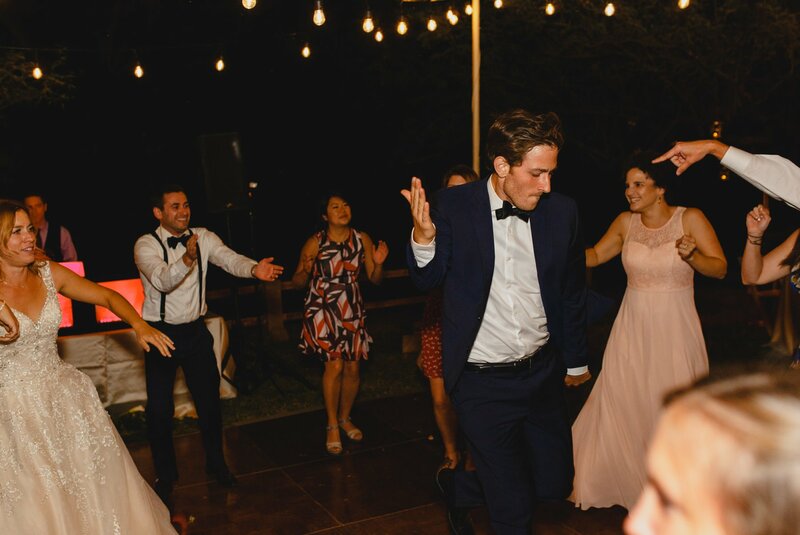 YESSSS. 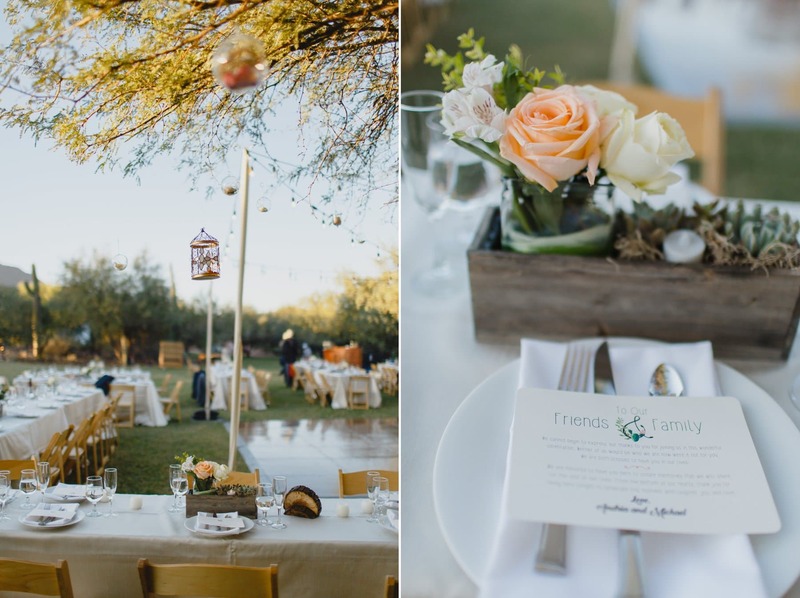 Tiffany from She Coordinates It ensured the day ran super smoothly and her husband cooked some amazing food. 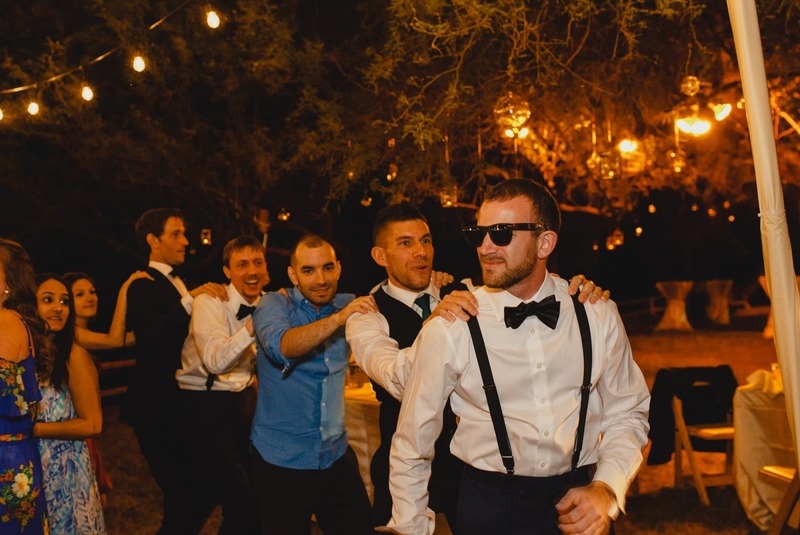 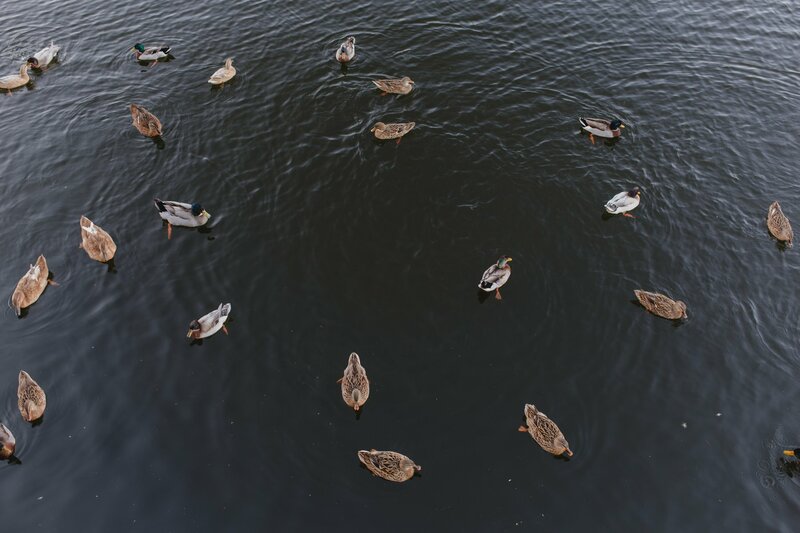 One of the biggest tips I tell clients is hiring at least a day of coordinator. 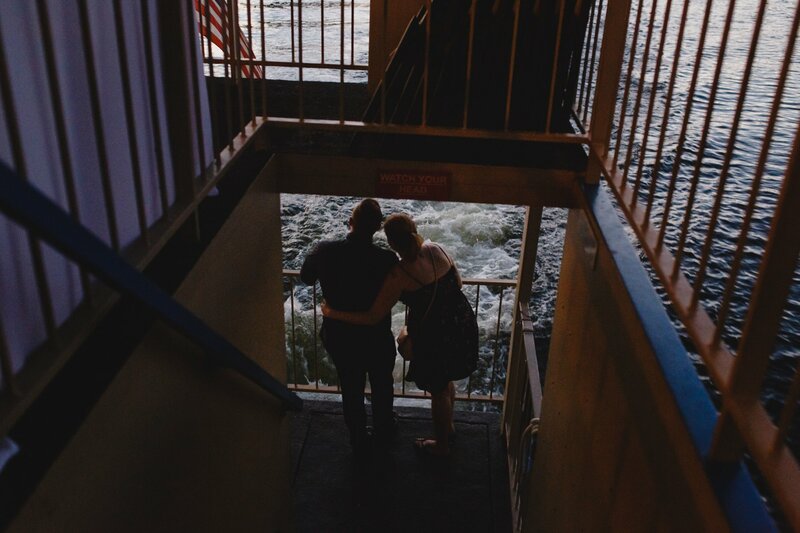 It helps take so much pressure off you & your loved ones and day of coordinators are truly affordable in the grand scheme of things. 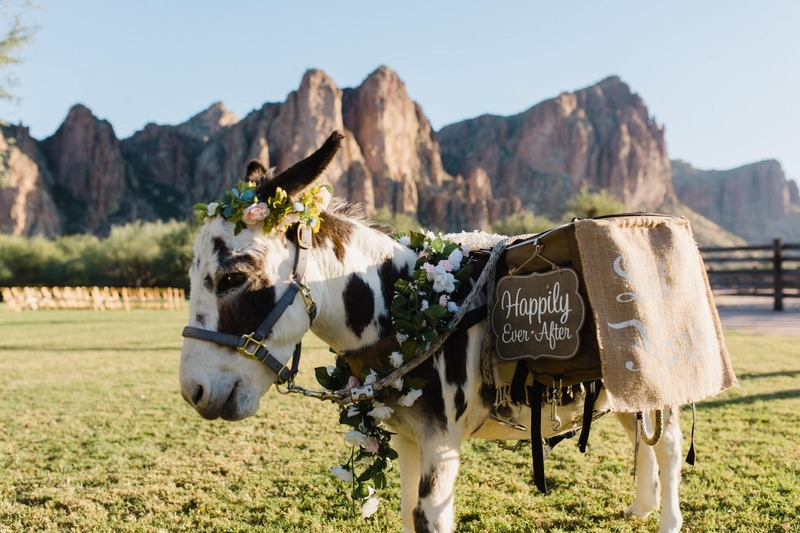 I initially thought I didn’t need one, but am so glad I hired one for my own wedding so my mom wouldn’t freak out (as much) and could enjoy the day. 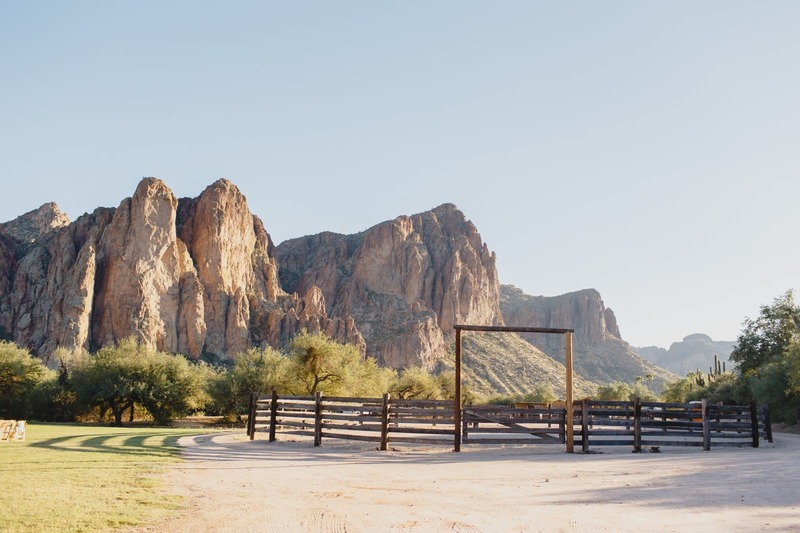 Shoot me an email if you’re planning on getting married at Saguaro Lake Ranch, I’d love to be considered for your photographer! 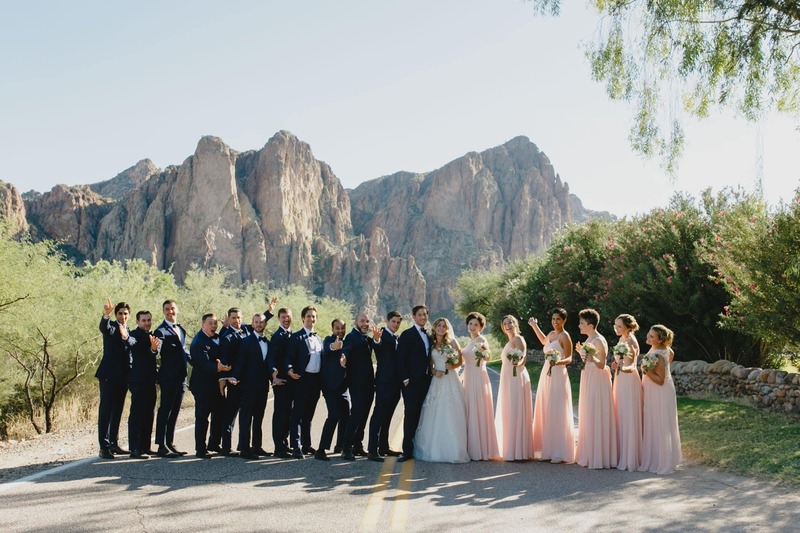 AMAZING Vendor Team that made the day possible! 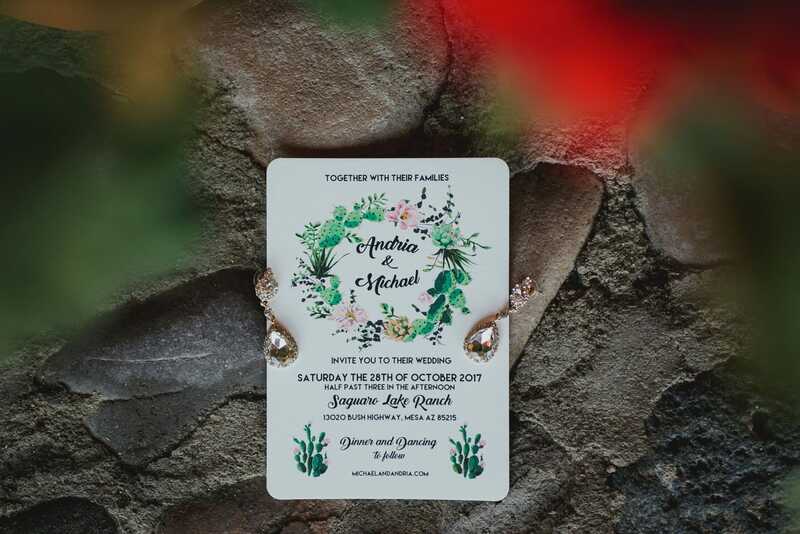 I would like information about pricing and what all is included with the pricing. 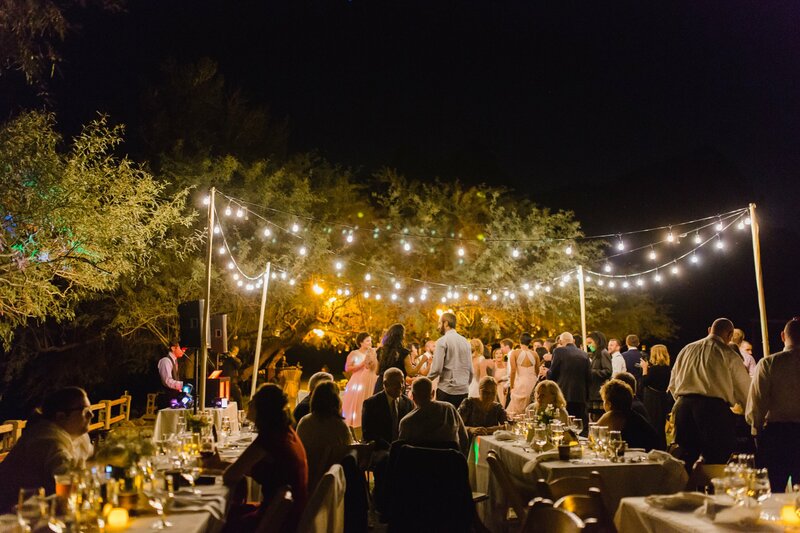 I would like to request pricing/packages for a guest count of about 150. 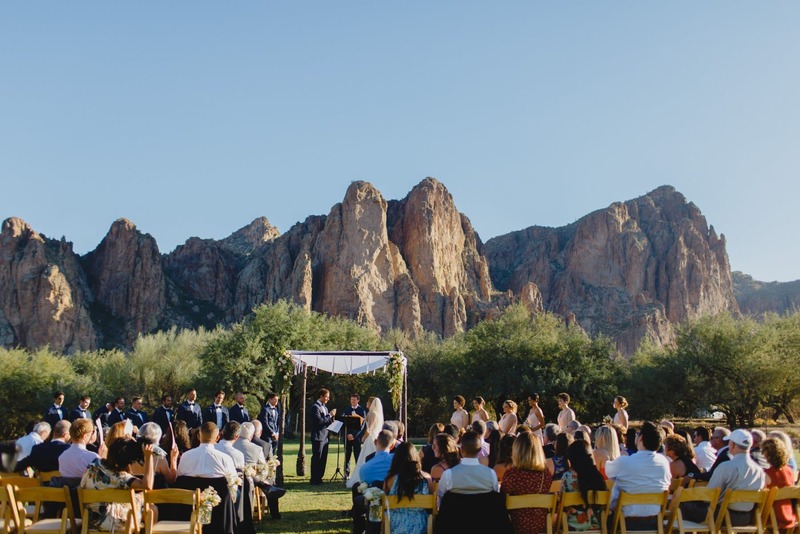 I would like to speak to someone about a late March, early April wedding at this venue.